Rock Hard Release Tour with Excerpt and Giveaway! 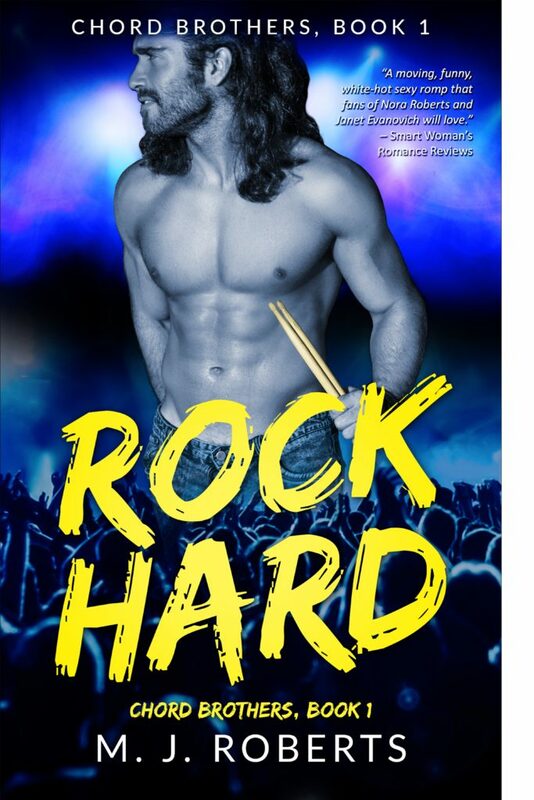 Today we have M.J. Roberts stopping by to share the blog tour for her new rockstar romance, ROCK HARD: CHORD BROTHERS! Check it out and be sure to grab your copy today! Drummer Ryder Chord has been living half a life since he was sixteen and his twin sister was murdered. He throws himself into his music. When Lexi Evanovich joins the band, life becomes almost tolerable. Until one day when the rest of the band isn’t there and Ryder and Lexi have to share a hotel room: with only one bed. Rule number one of band-dom: You never sleep with anyone in the band. Rule number one of bro code: You never sleep with anyone’s sister. You definitely never sleep with your best friend’s little sister. Rule number it’s so obvious it’s a count even a drummer can keep: You Never. Ever. Sleep with your best friend’s little sister when she’s in the band…and he is too. At about 2:19 AM I finally fall asleep. At around 3:30 there’s a soft knock on my door. I’m fully awake in an instant. Remembering how Lexi needed me when water was dripping on her head I jump up, run to the door and throw it open. “Lexi, what’s wrong!” I put my hands on the side of her face. I search her expression, which seems, I don’t know, slightly scared, worried. Which makes me worried. “Lexi, what is it?” I ask. But she doesn’t say anything. She just stares up at me. She’s wearing a short, silk burgundy-colored robe I’ve never seen before. I blink. I stare down at her, and my brain refuses to understand. My tongue plasters to the roof of my mouth. Lexi reaches up and touches my biceps, and the spell that has me frozen is temporarily broken. Her voice is soft. So soft I have to bend down a little to hear her. I’ve been playing drums long enough that I have a bit of hearing loss. I straighten up. “Sure you have,” I say like an idiot. “You don’t toss and turn. You don’t get up.” I think of myself, the hours I spend staring at the ceiling of my own bunk. Lexi takes a step closer, and the smell of bursting orange blossoms wafts up. She opens the sash of her robe, and it reveals a mostly see-through, burgundy-tinted babydoll nightgown that barely reaches the top of her thighs. M. J. Roberts is a writer, editor, and teacher – with more than two million copies of her stories in circulation worldwide, Roberts is well loved for creating characters who feel as real as your most cherished friends. Roberts works to diligently to create believable, lovable characters, witty dialogue, prose ripe with metaphor, exciting plot twists, action that keeps you on the edge of your seat, and romance scenes that sizzle. Roberts is a multiple award-winning author including first place in the prestigious Summer Lovin’ Romance Literary Contest 2015 for the novel Risk Your Heart. 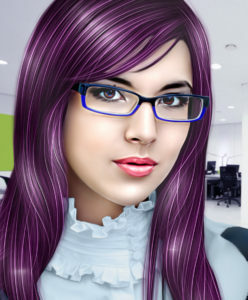 Roberts also writes under the pen name Natasha Action. Roberts is originally from New York but lives in the southern United States for the purpose of endless comic material. She’s married to a professional musician (A.K.A. The Rock and Roll God) because she is too busy tormenting imaginary characters and counting her blessing to pursue her longtime dream of Rock n’ Roll stardom herself.